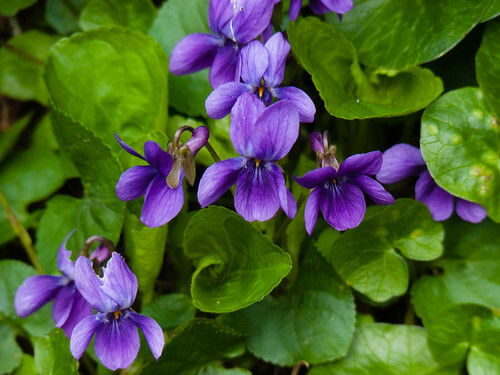 Every spring these violets flower at a sheltered spot by the Staffs & Worcs canal. 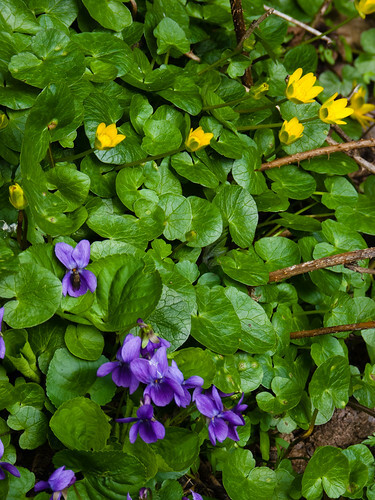 The same little bank normally has violets and lesser celandines flowering at the same time, with the purple and yellow of the two sets of blooms making a colourful contrast. 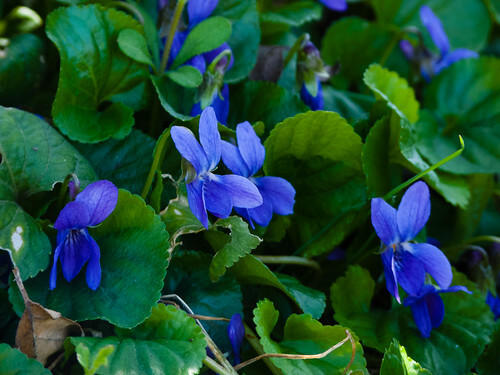 The violets below were growing by a roadside. They look much more blue in colour. It’s very pleasing to think such quiet beauty is to be found right on our doorsteps in Britain.